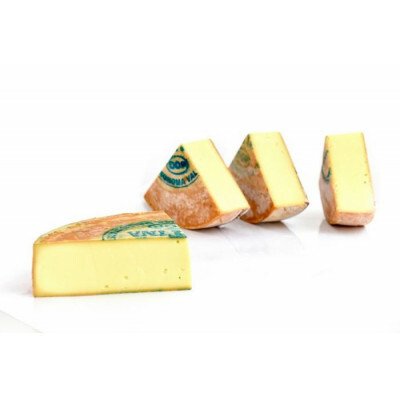 A very popular semi-soft Italian cows'-milk cheese, Fontina is deep golden-yellow in colour with a reddish-brown rind. It has a firm, slightly springy texture with a delicate flavour. It melts easily, so is great to cook with.